“All of my life I would look at adults and think, ‘Are you my mother? Are you my father?’ The social workers helped me find my mom last year. I went to meet her and she was drunk and wanted nothing to do with me. I cried for three days,” Nicolae shared with us. This story, sadly, is not unique to Nicolae. While partnering with Hope & Homes Romania last summer, we interacted with many young adults who grew up in institutionalized orphanages in Romania, never knowing the love, care, and attention of their parents. Because they grew up in institutionalized orphanages, they did not receive the same opportunities and support that other children did. School, interactions with others, and processing emotions related to feeling abandoned and not wanted were very difficult. Our teams of volunteers went to Romania so that we could give these young adults a much deserved hand-up: to help them with English, computer, and life skills so that they could get better paying jobs and have more control over their futures. This experience didn’t just affect the young adults. It also changed our volunteers. 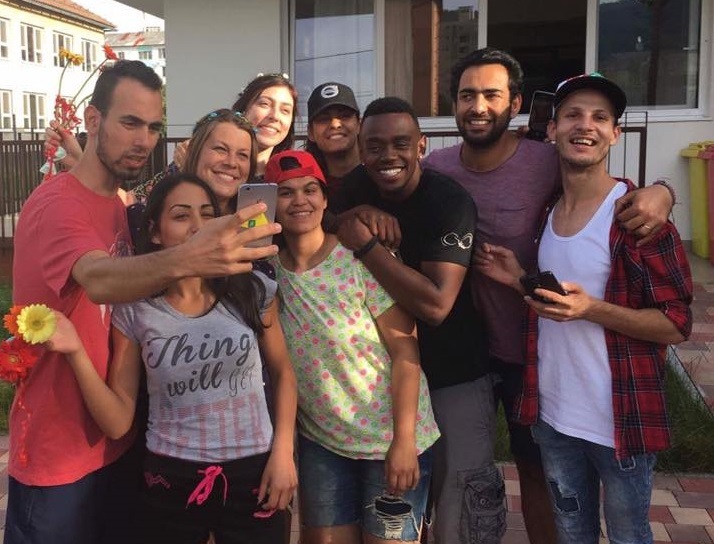 One of our volunteers is a full-time teacher so she regularly interacts with young people, but she was amazed by how quickly she developed real and deep relationships with our Romanian friends in just one week and was impacted by their life and stories. Another volunteer realized that he has the ability to convey and affirm other people’s worth to them. Through his continued mentoring and support through monthly English skype calls with one of the young adults, this volunteer wanted to continue to affirm for the young adult that she is valuable, worthy, cared for, and capable. But also in his daily life and with the people he interacts with, he wants to communicate people’s worth to them. This is transformational development for all, or 360 degrees of development as we sometimes call it, and it is one of Venture 2 Impact’s foremost organizational values. 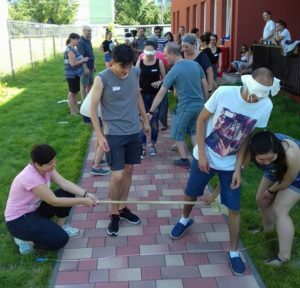 In Romania we were there to serve the orphans, but we also wanted to serve our partner organization and our volunteers by giving them opportunities to engage in meaningful work and to talk about deeper things. 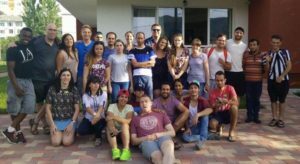 We are committed to this community in Romania and to our tribe of volunteers, and we are excited to continue building on what was accomplished last year. Before we left, the Hope & Homes staff asked, “Can you come back next year and continue developing the young people’s English & computer skills and also do some day trips with our youth, to let them hang out with people who really care about them? And could our staff come to your discussion groups on how to change your story, where you derive your identity from, and how to deal with shame and the power of being vulnerable?” We loved our time with the youth, and everyone involved experienced so much growth that of course we said yes. We can’t wait for another few weeks spent with these amazing young people this summer, helping them to develop skills to get better jobs and showing them how valuable they really are. If you want to join us in transforming the lives of orphans in Romania and want to experience transformation yourself, sign up for our next opportunity here.